Estate Recovery — Daniel P. Seink Co., Ltd.
James explained that his mother had been in a nursing home for many years and that Medicaid had contributed to her care for at least six or seven years before she passed away two years earlier. His father had been allowed to keep a certain amount of assets since he lived in an assisted living facility and not in a nursing home. When his father died he thought that the money belonged to him. He wanted to know whether he was entitled to it. We contacted the bank and inquired as to the nature of the account registration. The bank informed us that the account that had been closed had been listed in the names of both persons, but that it was NOT a survivorship account. * This information was confirmed upon first-hand examination of the account registration records. As such, we had the unfortunate task of informing James that, because of this simple oversight in the registration of the account, half of the money was properly subject to the probate court’s jurisdiction rendering the funds recoverable by the State of Ohio. * Therefore, the bank never should have released the funds to James after his father’s death. It apparently did not receive notice of his death and failed to inquire further when James requested to liquidate the account. ** Also note that, under the new estate recovery act signed June 30, 2005, the entire account may have been subject to recovery, even if the account had been registered with rights of survivorship (depending upon how the assets were titled at the time of the death of the mother. 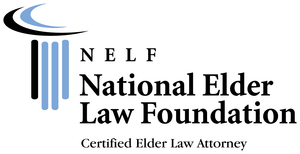 See the page on this site regarding the new estate recovery and lien laws. 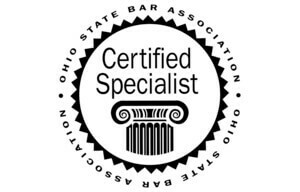 It is therefore even more important to address estate recovery ahead of time to preserve assets, and further, to seek legal assistance when family is presented with claim and inquiry letters from the Ohio Attorney General following the death of a medicaid recipient and spouse of a medicaid recipient.